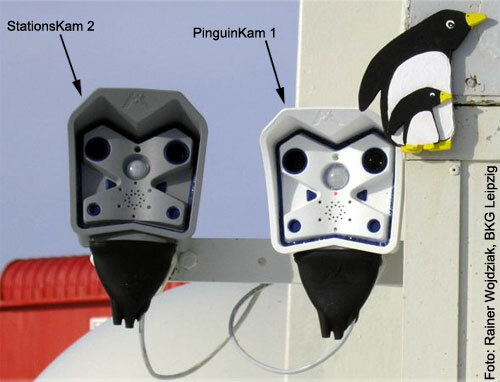 Oben: Links die Stationskamera 2, rechts die Pinguincam mit zwei Objekiven. Beide MOBOTIX-Kameras in Standardausführung sind ohne jeglichen Zusatzschutz an der Containeraußenseite angebracht! 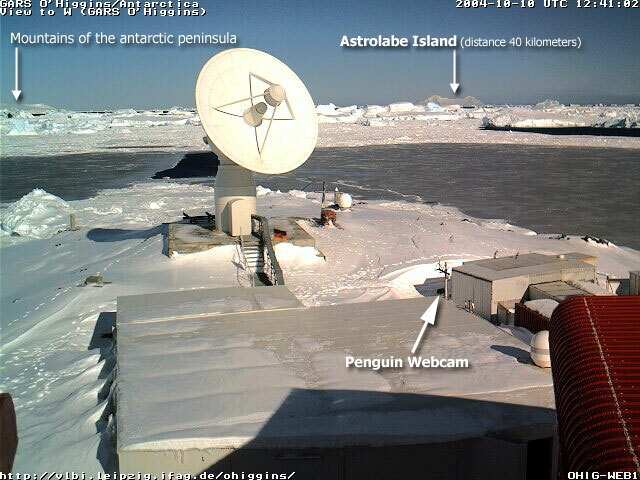 Above: Penguin cam to the right and station cam 2 on the left. Both webcams are mounted on the outside of a container without any additional shelter in a standard fitting, just as you order them at the factory! These cams (made by MOBOTIX) are extraordinary robust, have lots of unique features and provide a fantastic picture quality! For example the new software enables each camera for IP Telephony. Each cam has a weatherproof microphone and loudspeaker. And the quality of the pictures speak for themselve! Our cam has two fixed lenses onboard. The best cams I can imagine for any outdoor surveillance, even in an extreme environment like the north antarctic (but they also have brands for indoor use). 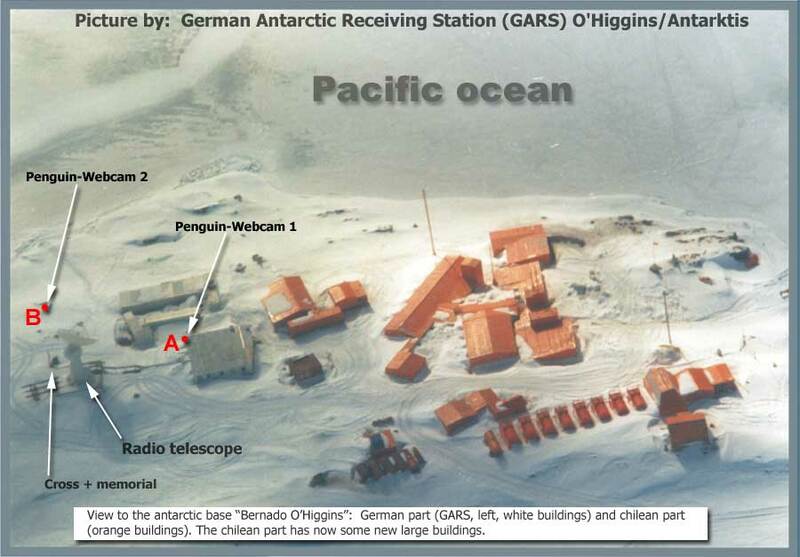 PALAOA: The Perennial Acoustic Observatory in the Antarctic Ocean. 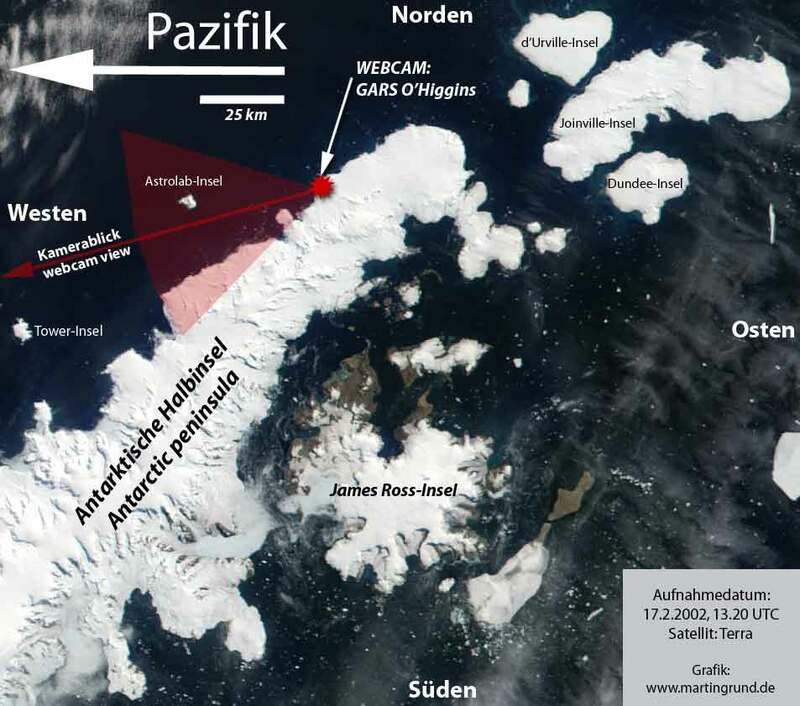 At the shelf-ice border near Neumayer station, an acoustic recording station for underwater sounds is being constructed over the course of two austral seasons. During this cruise’s visit to Neumayer, parts of the hard- and software were installed and tested. 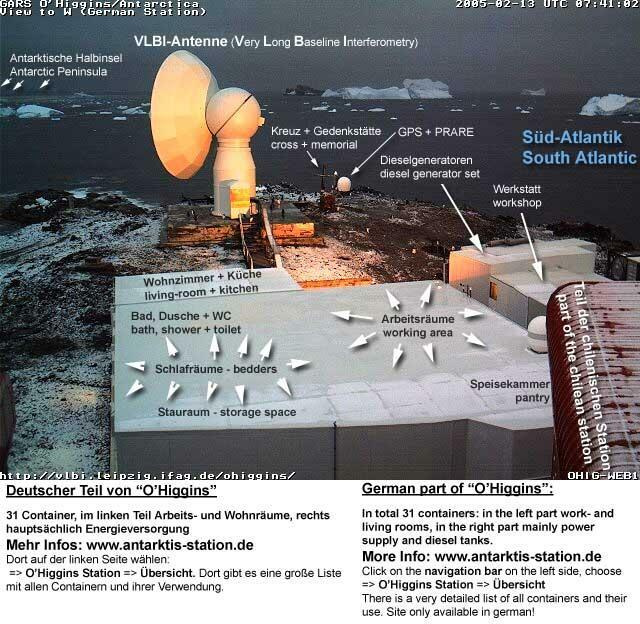 The autonomous energy module and the wireless LAN connection were activated and ice sounds and webcam images are now being transmitted to Bremerhaven continuously. The station is planned to become fully operative in January 2006 after three shelf ice drillings will have been concluded and a hydrophone array will have been placed in the water column below the shelf-ice. Above: Station Webcam number 1 (the one with the great overview ;-) is mounted on the railing of the new metereological tower (chilean part of the station, red building). All cams look more or less to the west.